The Scottish Cup has become a rather discredited competition in the twenty-first century, matches being fought out very late in the season often with guest riders in the teams. It was a different matter in the sixties, when these matches were regarded as the most important and exciting of the season. In 1967 we had a good side, and they were aiming to prevent Glasgow making it a hat-trick after victories in 1965 and 1966. The match at White City was rained off on 11th August, and the next night at Old Meadowbank it was wet again. Sawdust and overalls saved the day and Monarchs won 56-39, eventually also winning the restaged second leg at Glasgow. 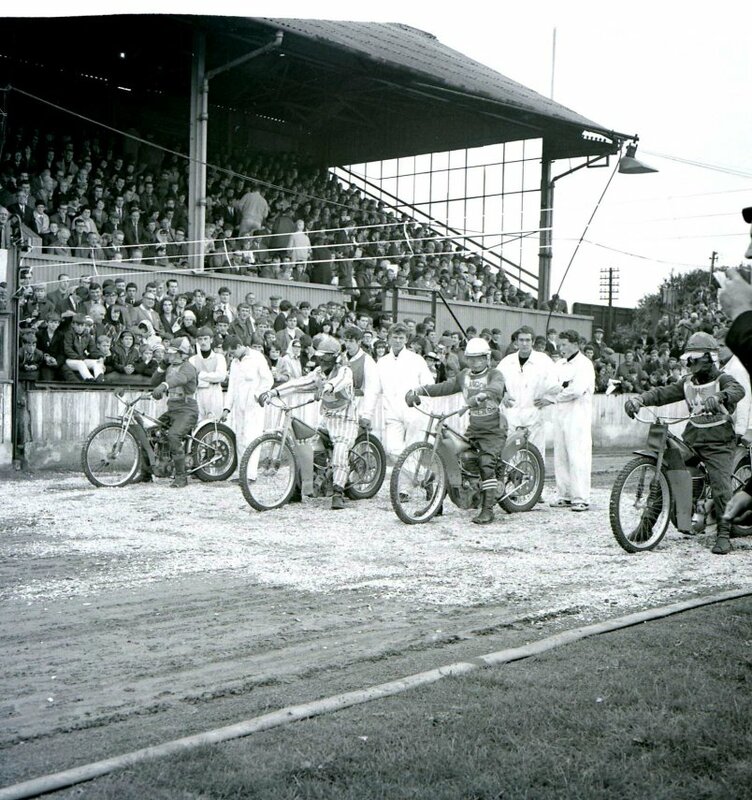 This photo shows the riders awaiting heat 1, with (from the inside) Bernie Persson, Jim McMillan, Bert Harkins and Willie Templeton all togged up. Bernie fell, and Bert won from Willie, though Bernie went on to be joint top scorer for Monarchs.